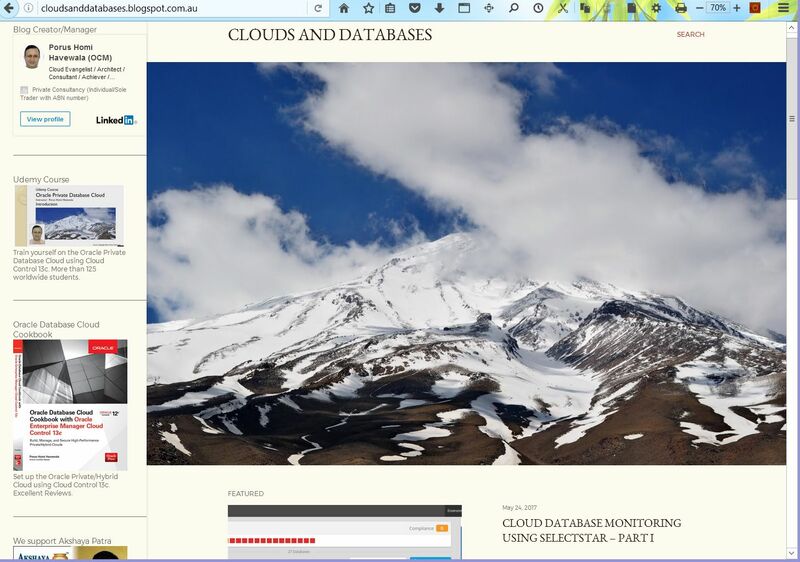 New Blog "Clouds and Databases"
I have started to write on a brand new blog "Clouds and Databases" that I created recently. On the new blog, I will be writing about different cloud technologies and databases. This is in addition to my existing blog http://enterprise-manager.blogspot.com/ on Oracle Enterprise Manager.